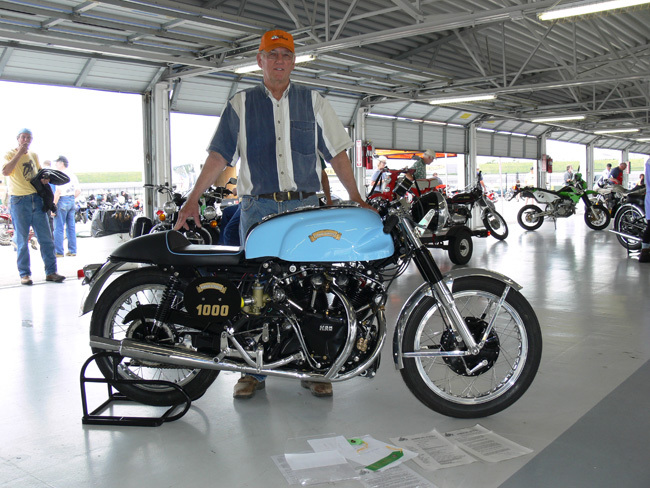 Likely no motorcycle has inspired so many workshops (and for so long) to built specials. The Vincent v-twin is on that perspective one of a kind. Indeed when the factory stopped manufacturing motorcycles in 1955, the performances of the Vincent engine were still far ahead compare to any other engines, so very quickly modifications on the Vincent chassis started to appear: brakes upgrades, telescopic front forks, and conventional rear suspensions before the hybridization with competitive rolling frames. 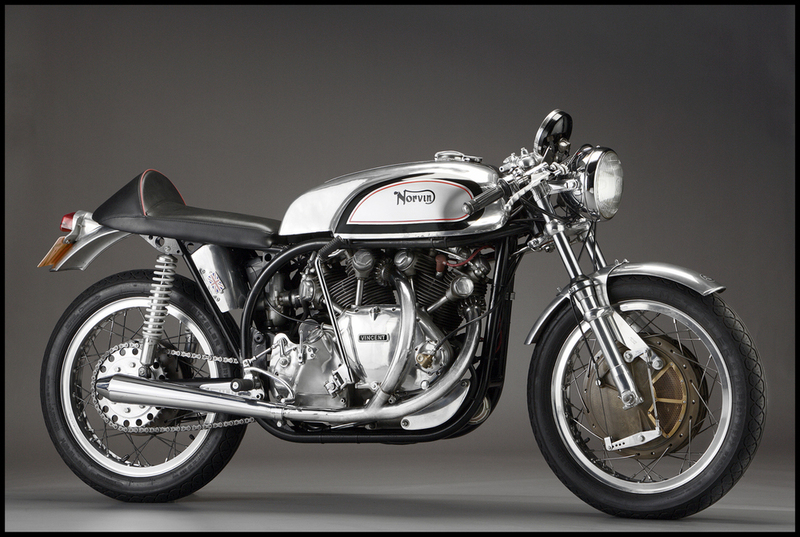 Among these, the Norton Featherbed remains the most famous until Fritz Egli presented his new concept in 1967. On this page you will find some of the most famous conversions. You can refer as well to the dedicated pages foreach of them. One of the finest example of a Norvin that you can find. It combines the stock Norton Manx frame (wide loop above the gearbox). 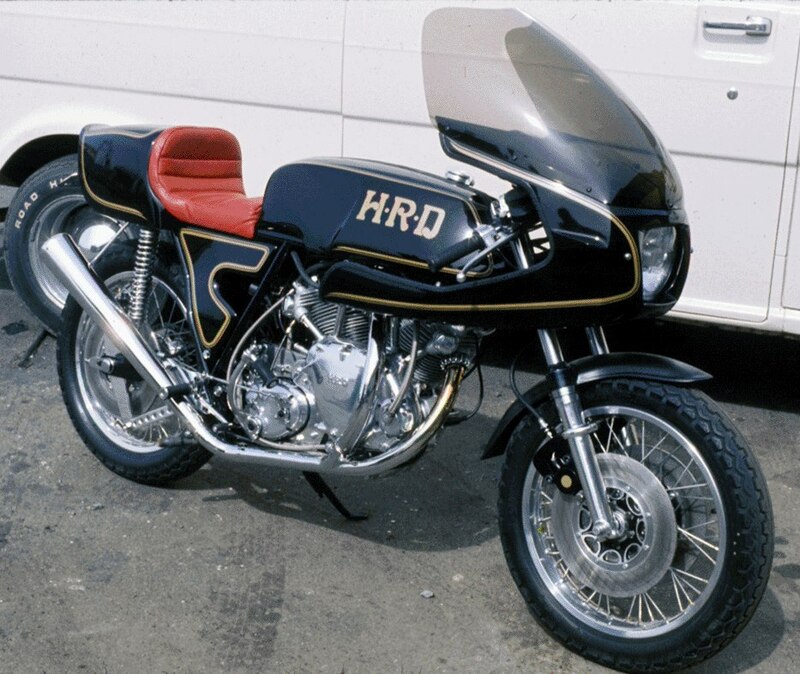 Built between the early 60s and early 70s by Derek Parkin, a racer from West London. 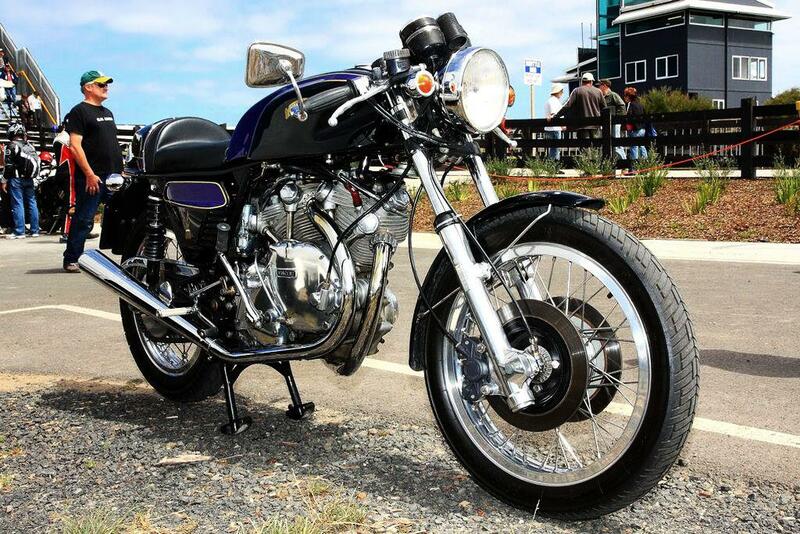 About 10 exist: it uses a Vincent headstock, and a modified Vincent rear frame with Norton forks. This model seen in the USA was made in 1962 | info David Lancaster. This bikes belongs now to Jay Leno; The original owner, Jim Brokensha, lived in Vancouver Canada (1975). You will note that the Vincent bloc has been heavily transformed and a Norton Commando primary case replace the Vincent one. 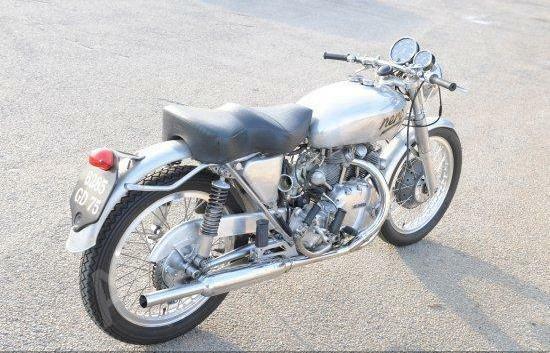 A very rare bike that could be mistaken for an Egli but it is not! 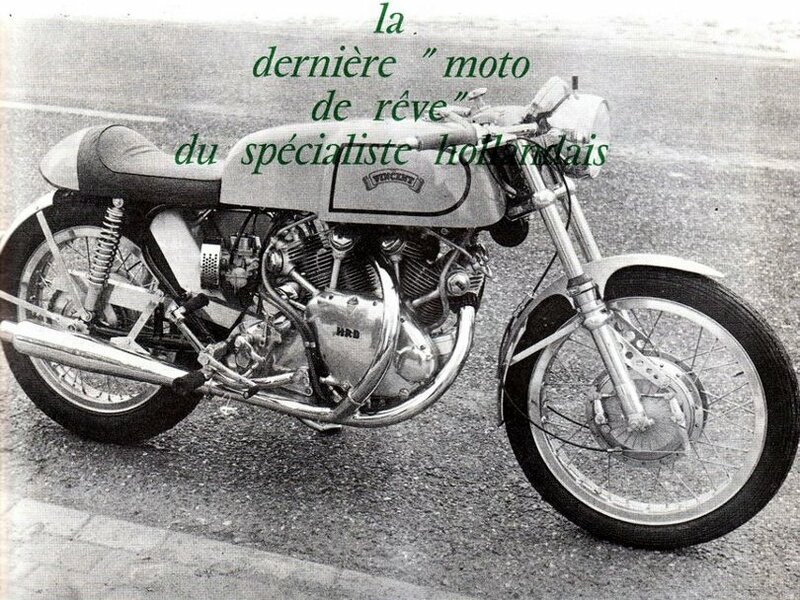 This bike was built in 1957 for a Frenchman named Marc Bellon after a road crash and he own the bike until 2009 before selling it in the UK. 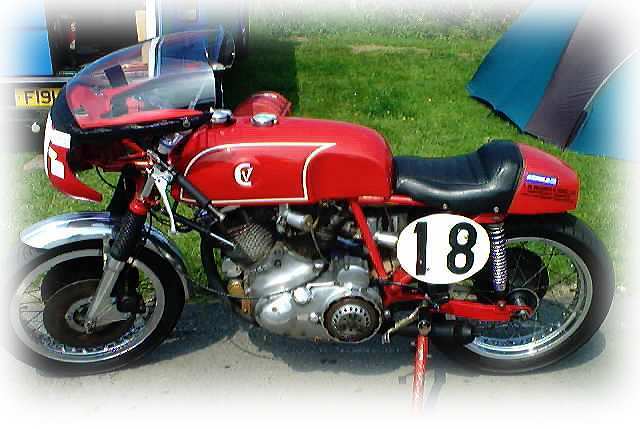 The blend of the Vincent v-twin engine with a Ducati “bevel” frame. Exhibition 1967. Any one is interested?